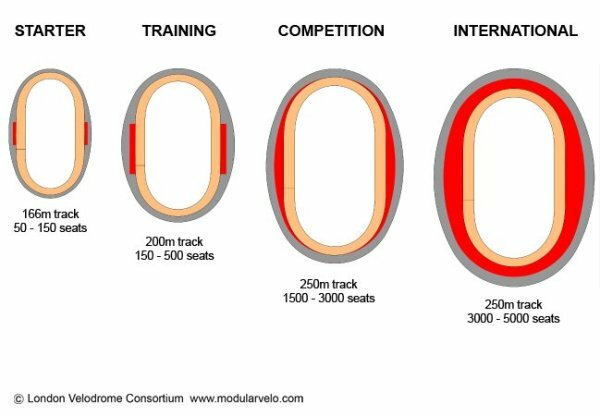 The team behind the London Velodrome; including the track designer and builder, architect and client, have formed the London Velodrome Consortium to deliver fully integrated velodromes ranging from 50 to 5,000 seats. The London Velodrome was launched to widespread acclaim at the UCI Track Cycling World Cup Classic Series in 2012 with three new world records being set on the track during this inaugural event. The motivation of our group is to help promote the sport of track cycling by creating a flexible velodrome design which can provide anything from an affordable training venue to an international competition arena with a sustainable legacy. Our team has all of the required skill and experience to deliver a complete velodrome incorporating an approved track and all the necessary elements to meet UCI accreditation. We will team up with local partners to deliver a risk-free option that combines standard materials and efficiency with a very quick build programme. 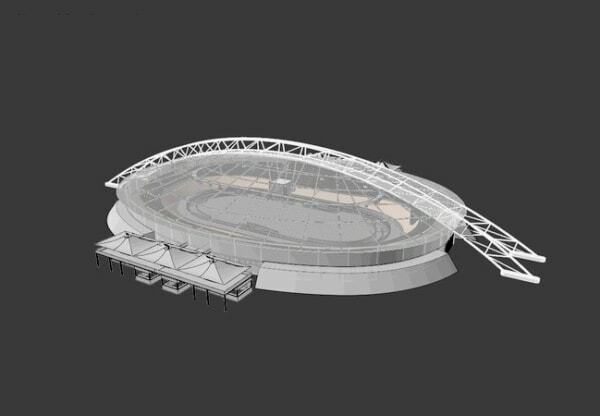 Our concept is a fully integrated design that can cater for various sized venues ranging from 50 to 5,000 spectators. It has been developed specifically to be adaptable according to location, climate, additional activities and long-term flexible use. The venue can expand and contract and can cater for other sports besides track cycling and can even be capable of relocation. Training venues require little in the way of accommodation and seating but still represent a significant capital expenditure. Our concept, which has been developed in partnership with Deloitte, minimises capital expenditure and running costs and has the added benefit of avoiding lengthy procurement. 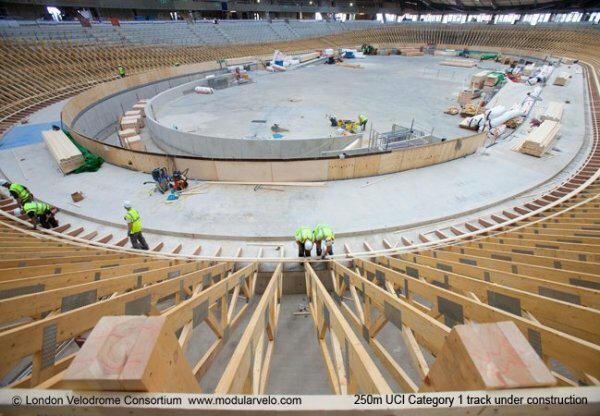 We believe it is the future for Velodromes! Australian born, ex-professional cyclist Ron is the doyen of world track design and construction. Ron rates the London Olympic Track as his best yet. He has now retired from active track building and passes his design copyright to PJ Lane. 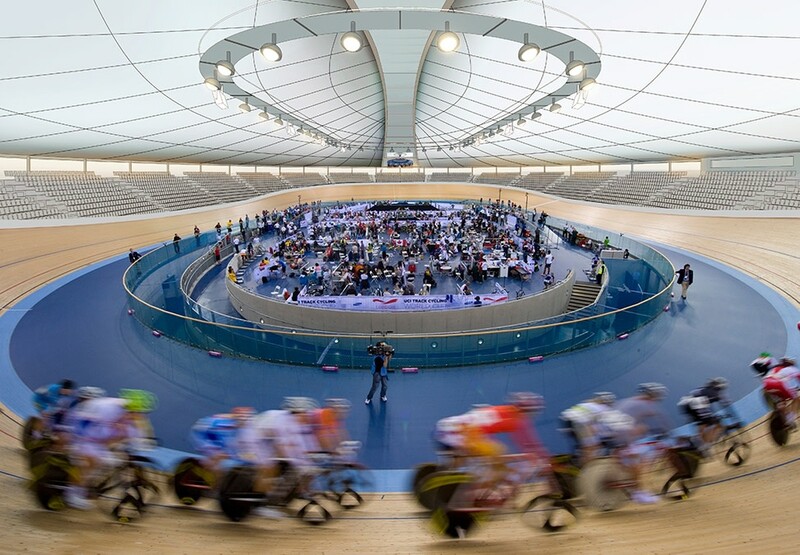 Ron joins the London Velodrome Consortium as an expert consultant. 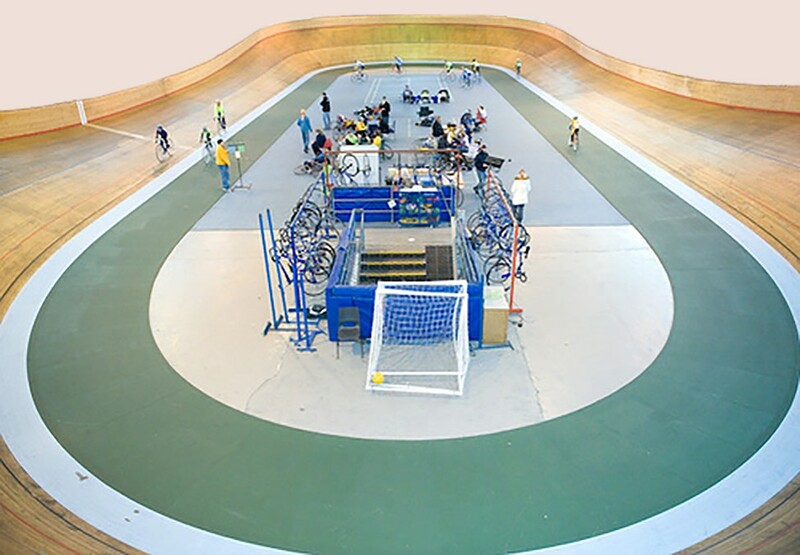 Hopkins are internationally recognised for their award-winning architecture and have completed many successful sports projects including the London 2012 Velodrome. Hopkins are also renowned as pioneers of prefabricated, lightweight and sustainable architecture. 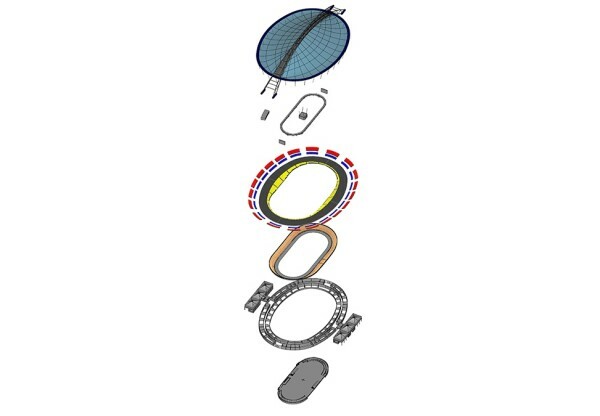 The modular velodrome concept is led by Senior Partner Mike Taylor, who was the design team leader on the London 2012 Velodrome. PJ first worked with Ron Webb on the construction of the Edinburgh Commonwealth Games track in 1986. He successfully delivered all aspects of the construction of the London Olympic track. PJ now assumes responsibility for procuring and building the Consortium's tracks to Ron's approved design. Richard Arnold was client project director for design and construction of the London 2012 Velodrome. This role combined close liaison with the UCI and IOC together with the national governing body as well as developing the overall business plan for the legacy use of the velodrome. Richard also has experience in developing multi-sport arenas and obtaining funding for sports projects.